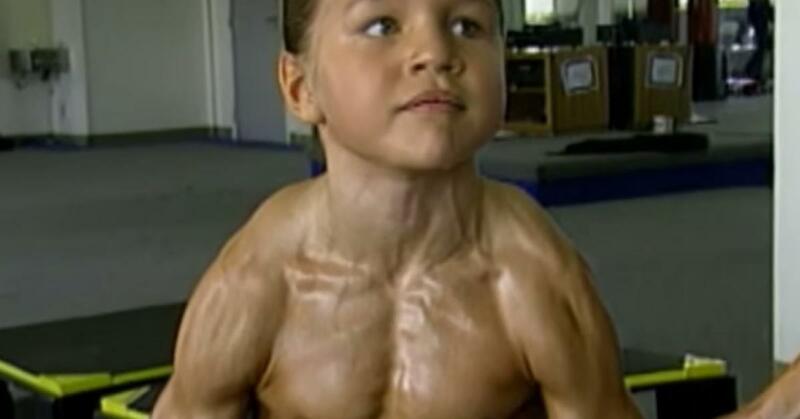 Remember Child Bodybuilder “Little Hercules”? Wait Till You See Him Now! In the mid 1990’s a young kid named Richard Sandrak took the world by storm. You probably have no idea who that is, but I’m sure you know the name “Little Hercules”. He was an extremely shredded child bodybuilder who took the world by storm at just 8 years of age. The entire world was in shocked at the young kids physique, it seemed impossible for someone to be so toned at such a young age. Richard was able to bench press 180 pounds without a problem at 6 years old. Both of Richard’s parent’s were fully emerged in the worlds of Martial Arts and Fitness so it was no surprise that their son was obsessed with training also. Richard’s father was a martial arts champion and his mother worked full time as an aerobics instructor. Young Richard also had a full time personal trainer to keep him in shape. Next Fans Jump Kickboxer In The Ring After Brutal Cheap Shot!